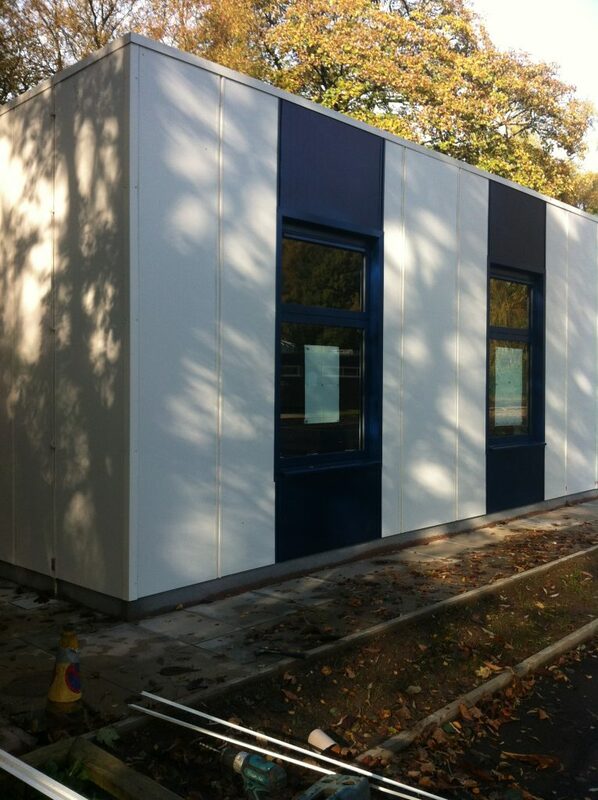 Modular buildings don’t have as much positive press as they deserve. People have looked down their noses at them as being insubstantial, impermanent or simply inferior, but the world has changed. It’s faster, smarter and greener than before – just like modular buildings. Construction of the modules can occur at the same time as construction on site, cutting time to completion in half. While groundworks are being done, foundations are being laid and services are being brought to the site, the building is being manufactured in the controlled environment of the factory. Generally, 60-90% of the work on a modular building is done before it reaches site, so the traditional delays because of the weather are eliminated. These may include days where it is too cold to pour concrete or too wet to do groundworks, but also includes delays where icy roads may prevent materials getting to the site. Designing modular buildings relies on advanced Building Information Modelling (BIM) to produce the most energy efficient and cost-effective designs, meaning designs are smarter and at the cutting-edge of the latest technology. It’s safer for workers because indoor assembly is inherently less dangerous. The materials are dry, so less moisture is trapped within the fabric of the building, reducing the potential for problems with damp, mould, rot or condensation. The specifications are just as tight as for traditional build, and, once the buildings are finished and on-site, most people wouldn’t be able to tell them apart. They are infinitely versatile and can fit any space, singly or in multiple units, or they can attach traditional buildings together. What does distinguish modular from traditional is the cost: modular works out at a fraction of the build cost, because there’s no waste and no delays. Because there is less disturbance on site, the underlying subsoil isn’t too greatly compacted and neighbouring properties suffer less disruption. Modular buildings are also the ultimate in recyclability. They are assembled on site and can be just as easily disassembled and relocated, or repurposed if a change of use is required. Even during production, there is less waste: precise cutting patterns are produced at the design stage, so the most efficient use of a sheet of ply or length of timber is known from the start. There is also no risk of materials being affected by damp or temperature fluctuations during construction. All in all, if it’s fast, smart and green, modular has to be a good thing. For more information on our cabins, modular buildings, customized containers and portable jackleg units, contact us at Excel Modular Buildings today.